Abtract: The aim of this thesis is to explain why differences arose between Norwegian, Danish and English towns with regard to their economic functions. Norwegian towns did not develop a sizeable production of commodities for the rural hinterland, something Danish and English towns did, of which the textile industry in small English towns is a prime example. This production contributed to the growth of towns in Denmark and England, a growth that was quite explosive in the thirteenth century. The thesis investigates the scant evidence there is for urban production in Norway, and compares it with the production of goods in English and Danish towns. The differences are explained by looking at how commercialised Norwegian, English and Danish societies were, and what factors could have caused the differences in the levels of commercialisation that can be observed. The factors that were considered to have had the most impact are geography, topography, climate and population, the relationship between the landowning class and the peasants, and the dominating position of merchants from the Hanse. Introduction: When Lewis Mumford wrote his influential book The City in History (1961), he opened by asking the simple question “What is the city?”. In the fifty-four years that have passed since, the question has received much attention. Historians have amassed a wealth of knowledge about cities and towns through historical studies and archaeological excavations, and many questions that at the time were unresolved, have since received answers or at least thorough discussion. However, some questions and topics remain open for debate, and one such topic is the elusive Norwegian towns. 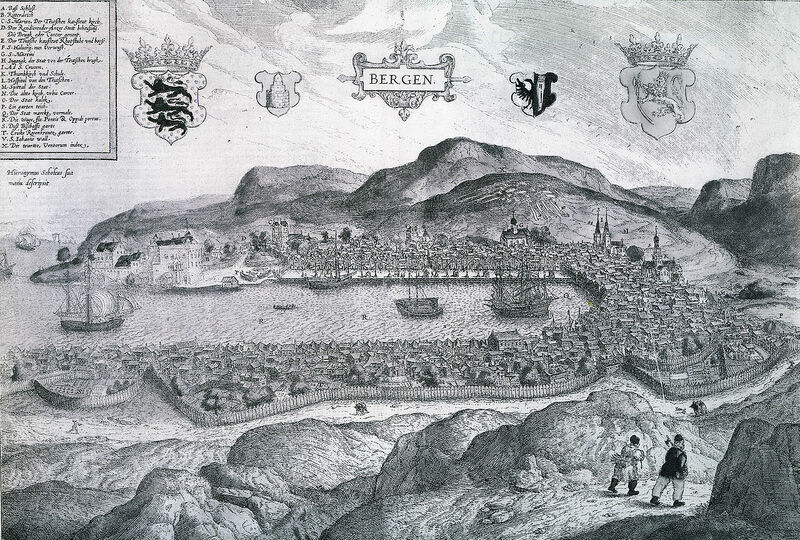 Norwegian towns were different from their European counterparts both in appearance and function. They lacked walls, for instance, which was a common European town feature, and they were generally quite small. They were also all seaports, except Hamar, which was situated on the shore of an inland lake, Mjøsa. More importantly, as this thesis aims to show, they had a different economic function than European towns.